Having a wedding in a tropical destination? Our newest Hawaiian-inspired save the dates are perfect for you! Hand-illustrated tropical botanicals in watercolor paint then printed on thick buttercream cards for a lovely hand painted effect. Pineapples, hibiscus flowers, palm fronds, bird of paradise, plumerias, and more! – Pin the coffee mug photo above to Pinterest. Then, just comment here you did so. 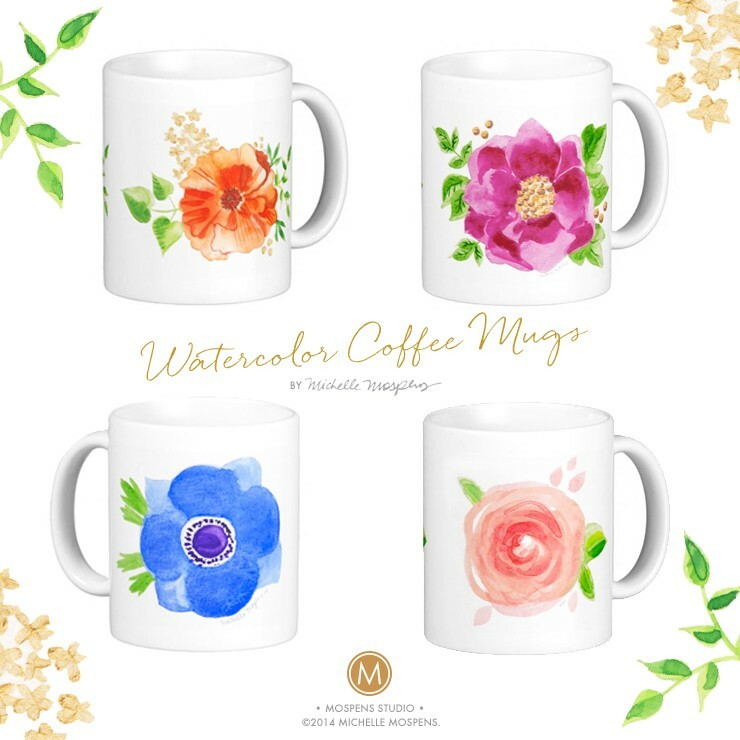 – Tweet about this giveaway like so, “LOVING the new coffee mugs by artist Michelle Mospens! @michellemospens” Then, just comment here you did so. 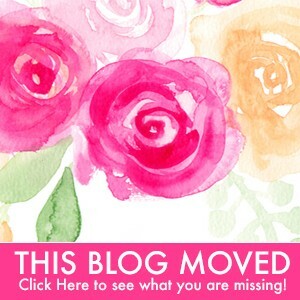 – Post on your personal or business Facebook, “LOVING the new coffee mugs by artist Michelle Mospens! @MospensStudio” (be sure to link to our Facebook business page https://www.facebook.com/MospensStudio in your comment) Then, just comment here you did so. 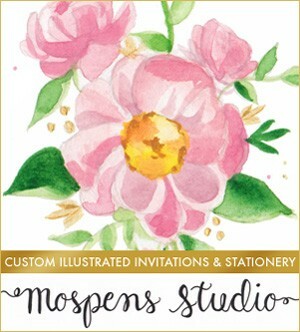 – Follow Mospens Studio on Instagram, Pinterest, Facebook and Twitter. Then, just comment here you did so. This giveaway ends on November 5, 2014 at 5:00PM ET. USA residents qualify only. One random winner will be chosen to win one coffee mug with any one of my artworks on it (a $23.00 value) and a Starbucks gift card worth $15.00.